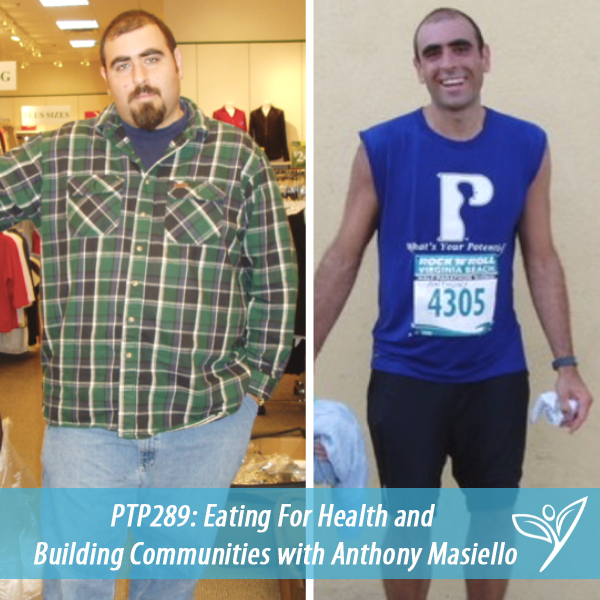 In this episode of The Plant Trainers Podcast, we talk with Anthony Masiello about his transformation story, building connection through local community events and plant-based parenthood. Just a decade and a half ago Anthony was over 300 pounds, and a new dad faced with the startling reality that watching his kids grow up may not be a part of his journey. We unpack what goals and steps had to be taken to actually change his life and how healthy habits may even be the most important areas to concentrate on. Many of you have told us you feel alone and wish you had meetup groups in your area. Well, this episode will give you the tools you need to start connecting with others with similar lifestyles. We loved connecting with Anthony and know you will enjoy the show. 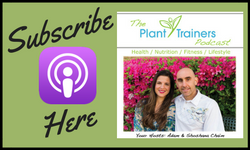 If you know anyone who is trying to lose weight and feels like it’s just not going to happen for them, a loving note and a link to this podcast may be exactly what they need to hear. Anthony Masiello lived most of his life unhealthy and morbidly obese until he finally decided to do something about it for himself, and for his family. In 2006, he switched to a whole-food plant-based diet, and in 20 months lost 160 pounds, reversed a series of medical conditions, and completely transformed his life. Since regaining his own health, Anthony has developed a passion for helping others to do and sustain the same. After more than 20 years working in traditional healthcare, Anthony shifted his professional focus toward prevention and is now a plant-based health coach, speaker, educator, and consultant with certifications in plant-based nutrition, food addiction counselling and is working toward his national board certification in health & wellness coaching using positive psychology. His story has been featured on the Megyn Kelly Today show, on PBS, in The Huffington Post, in the bestselling book Eat to Live, and by Forks Over Knives, Runners World, Plant Pure, and numerous radio shows, podcasts, and articles. Anthony now lives a healthy and incredibly active life with his wife Cathy, and their two sons, Evan and Henry. Anthony believes the truest path to optimal health is to earn it!